Every human being dreams of living a free life, undisturbed by any kind of stress. And an important factor that plays a big role in determining whether you do live a free life or not is debt. Loans, taken judiciously, can help you improve your life and attain goals. But when taken haphazardly, they can ruin your life. 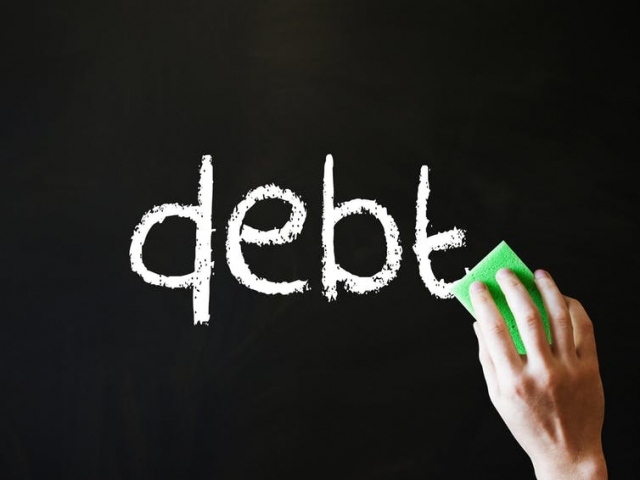 In this post, we will look at four tips that can help you avoid unnecessary debt. The first thing you need to understand to live debt free is the difference between a need and a want. Many people chase after their wants, only to end up piling large amounts of debt to satisfy their desires. This will inevitably be a burden for most of the person’s life and they will have to live month after month with the fear of being unable to pay back the debt. A ‘need’ is something that is essential for your survival. You need food, you need clothes, you need housing, electricity, the internet, and so on. These are things that you must definitely have in order to live a respectable life in our society. A ‘want’ is something that you desire but is not required for your survival. For example, you may need a laptop for work. Without it, you may not be able to generate your monthly income. As such, spending on a laptop should be considered an essential thing. But when you go to purchase a laptop and get smitten by a $1500 model even though a $500 model is more than enough for you to do your work, then you start prioritizing your desire over a need. And if you give into that ‘want’ and buy the $1500 model on credit, you will have to spend many months trying to pay up the extra $1000. This example is applicable in all areas of your life, whether you are buying a car, a home, a smartphone, etc. If you can control your wants and never take loans to satisfy them, you will always be able to avoid unnecessary debt, thereby ensuring that you live a comfortable, debt-free life. And in case you already are in debt and need help getting debt free, check out debtfreelife.co.uk for help with this issue. It is beneficial to master multiple skills in life – you can easily do multiple jobs. So, if you suddenly wish to purchase something that gets your attention, you can take on some extra work and make enough money to buy it rather than taking a loan or using your credit card. For example, imagine that you wish to purchase a new smartphone that costs around $400. If you are already working as a store clerk and have some design skills, you can easily take up design related freelance jobs. And by saving enough money, you will be able to raise that $400 in a few months. This way, you don’t have to but the smartphone using your credit card and then pay interest on it. Always have a long-term financial plan for your life. Where do you see yourself in five years? Ten years? Twenty years? What assets do you wish to possess? What monthly income do you want to earn? All these questions will help you come up with a detailed long-term vision. The biggest benefit of having such a long-term goal is that people tend to stick to the rules set by long-term rules. So, if you plan on buying a house worth $40,000 by the end of the fifth year, then you may calculate that you have to save $2000 per year to pay for the down payment. This will motivate you to keep your expenses in check, thereby helping you control your tendency to rack up unnecessary debt. Make it a habit to develop detailed monthly budgets and ensure that you do stick to those budgets. For example, if the end of a month is nearing, prepare a budget detailing the income you will receive and the expenses you will make. And when the next month starts, ensure that you follow the limits set by your budget. This will ensure that you don’t make any unnecessary expenses that can push you into debt. Without a budget, you may be tempted into spending more than what you earn. But with a budget plan in place, you will always be able to avoid such situations. However, be sure to allocate some amount for ‘random expenses’ so that you can satisfy your spontaneous shopping instincts from time to time.